This recipe makes for a delicious breakfast. It’s not too sweet, so feel free to top with syrup, honey or vanilla icing. In a large bowl, whisk together eggs, buttermilk, vanilla and cinnamon. Add in the cubed bread and mix such that all of the bread is submerged in the liquid. Cover the bowl and refrigerate over night. Stir in the diced apples, and put the mixture into a loaf pan lined with parchment paper. Bake for 45 minutes at 350. Allow to cool slightly before serving. This delicious combination of snickerdoodle cookie and baked apples is perfect for the fall! Chop apples into thin slices. Melt 1/4 c. butter in a skillet and add brown sugar, 1 tsp. cinnamon, and apples. Allow to cook, stirring occasionally, while you make the dough. Beat together 3/4 c. butter, 3/4 c. sugar, egg, and vanilla. Then add in baking powder, salt, and flour. 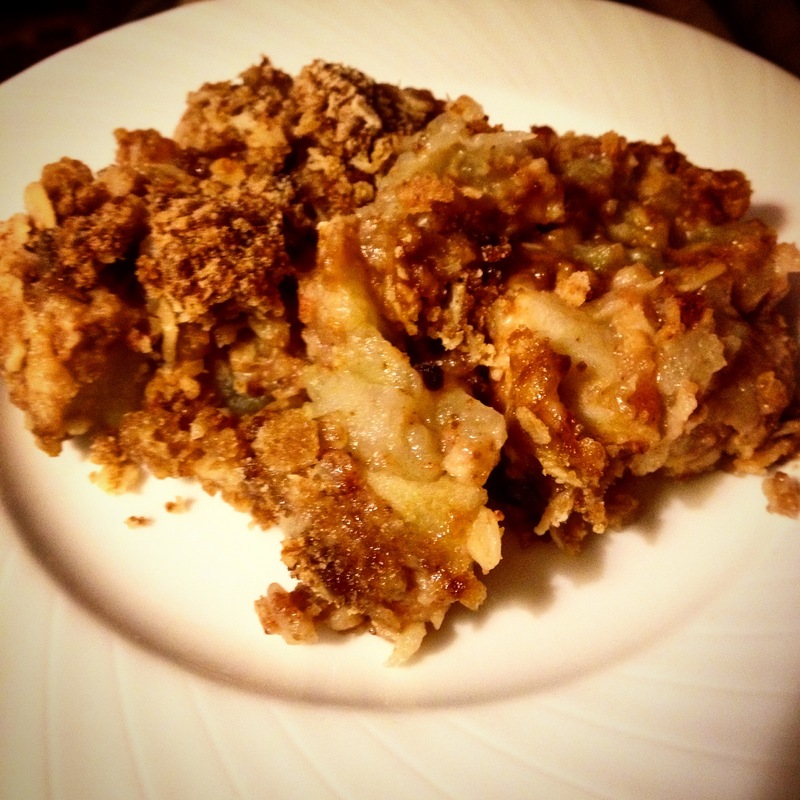 Spread apples in a 9″ x 13″ baking pan and then scoop dough on top and spread evenly. Mix the remaining 1/4 c. sugar and 2 tsp. cinnamon and sprinkle over the top. Bake on 350 for 25 minutes.